P&N Graduate students have published a Mentoring Handbook, an evolving document capturing best practices and ideas for mentoring undergraduates in research in Psychology & Neuroscience labs and related departments. 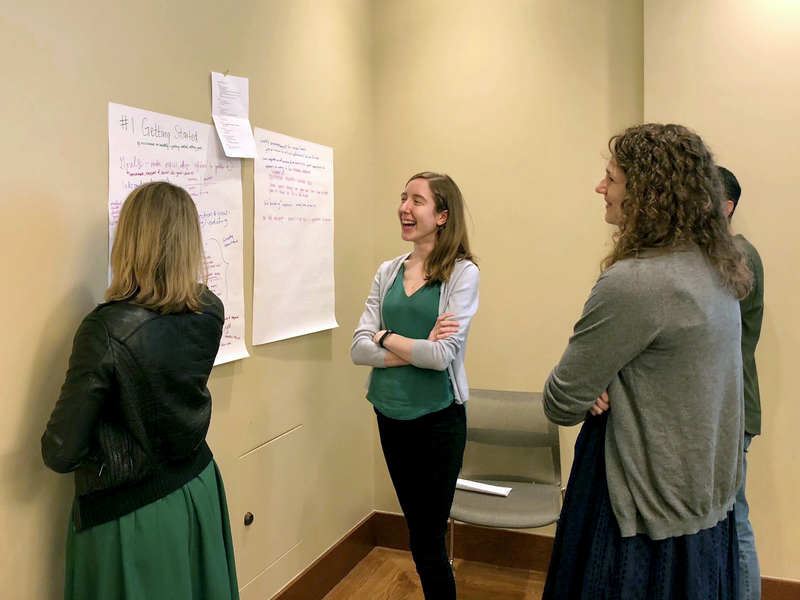 The idea began during a group brainstorming session in which P&N Graduate Students Brenda Yang and Paula Yust were discussing departmental teaching initiatives with P&N Professor of the Practice Bridgette Hard. Later, Yang said she went to a conference and asked a faculty member at a liberal arts college what they were looking for in their job candidates. "She really emphasized that they were looking for someone who they knew could mentor undergraduates to do research," Yang said. "Not everyone can adapt their research questions and skills in that way. It was light bulb moment: I realized that while we have some teaching resources on campus here, we don't receive very much instruction or resources about mentoring! Almost all of us mentor undergraduates at some point, and those skills are a huge part of running a potential lab down the road." Inspired, Yang and Yust hosted a departmental luncheon called the Graduate Mentoring Exchange (GMX). The event was well publicized and attended by other graduate students, undergrads, post-docs and faculty. The event highlighted practices and principles many people in the department were already using in their own work, such as establishing clear expectations and creating welcoming environments. However, brainstorming content for the handbook created an outlet to spread, share, and grow these ideas. "The handbook allows us to go beyond a one time event and share these resources with the wider community," Yust said. "This version of the handbook is really just the first step in bringing together resources on mentoring. Our goal is for readers of the handbook to contribute and refine it over time." "We're proud of what our team has been able to put together, and can't wait to see where it grows from here," Yang added. The P&N Mentoring Handbook can accessed here, with the full list of authors on the first page.